Is it the Season for Asphalt Pump Repair ? | Edelmann & Associates, Inc.
Edelmann & Associates, Inc. > Is it the Season for Asphalt Pump Repair ? Do you have an asphalt pump in need of repair and reconditioning? This is the time of year, so make sure you are ready for road repairs. Edelmann & Associates, Inc serves Minnesota, South Dakota, North Dakota and western Wisconsin with the expertise to get your asphalt pumps operating at peak performance. 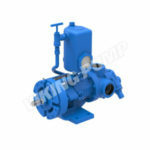 We are an authorized repair center for Viking Pump. 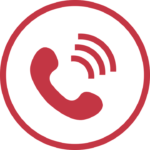 Watch our How We Do It Video, then contact us for estimates and service. In addition to asphalt pump repair, Edelmann also offers new asphalt pumps from Viking Pump. These pumps are ideal for any asphalt processing applications. Viking Pump has been building asphalt pumps for over 100 years. They offer many different configurations of internal gear asphalt pumps to fit your application. Sealant packaging, tar kettles, distributor trucks, pipe lining, etc. 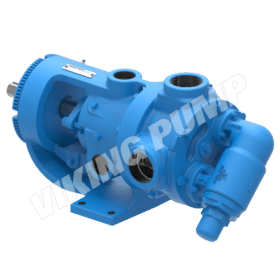 Viking also has pumps for roofing plant utilities, including fuel oil for boilers and backup generators, heat transfer oil, knockdown tank liquids and more. 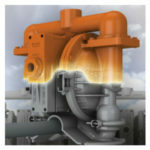 Most asphalt pumps use a packed gland to minimize leakage along the shaft. 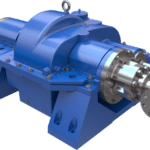 The benefits of a packed gland are that it offers the lowest cost among the seal options, greatest simplicity, and greatest reliability, especially if pumps are occasionally started before the asphalt is completely melted inside. Packing handles any viscosity and temperature (using high temp packing above 500°F). The gland must be loose enough, though, to allow some leakage for cooling and lubrication, which is the primary negative. A rate of one drop per minute is common. Leaked asphalt can be collected and recycled using a trough and bucket. 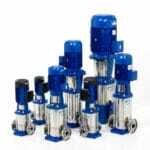 Viking asphalt pumps offering packing include the 34 Series, 224A and 124E Series. Mechanical seals, lip seals and sealless mag drives prevent most liquid leakage at the shaft. Mechanical seals generally feature a stationary face mounted to the pump and a rotating face mounted to the shaft, held in contact by a spring to prevent leakage between the two faces. Most mechanical seals are not suitable for asphalt because the faces can stick together during downtime and be damaged at startup. All mechanical seals are more susceptible to damage from cold start, overpressure or operator error than packing, so it’s critical to ensure that adequate temperature is achieved before starting pump. Viking has proven out a number of seal types on roofing asphalts to provide assurance of suitability in the application. 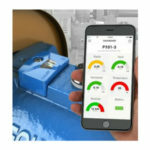 Cartridge dual metal bellows seals with hard inboard faces and nitrogen-pressured barrier fluid on the 4224A and 4124ESeries (note that 224A & 124E Series packed pumps can be easily be converted to4224A & 4124E mechanical seal pumps in the field, and vice versa).